Originally from the remote town of Edgewood, NM, Bradford Westrich joined PEEL as a lab technician in Fall 2017. His research career started during middle school when he studied the behavior of bees and was subsequently named a finalist in the 2001 Discovery Young Scientist Challenge. In 2010, Brad went on to receive his Bachelor of Science in Conservation Biology from New Mexico State where he was a Howard Hughes Medical Institute Fellow primarily studying local mammal conservation. While an undergraduate he also lived in Belize where he conducted a 9-month research project conducting surveys for Scarlet Macaws. After all of this exciting academic work, Brad took a hiatus from the university and pursued a life on the job market. He worked for many years monitoring threatened and endangered fish populations with Utah Division of Wildlife as Wildlife Technician, and then secured a spot with the University of Florida Cooperative Research Unit where he served as a Field Supervisor for the endangered snail kite monitoring program. After several years on the job, he chose to go back to school in 2015 to earn his Master of Science in Wildlife Biology at Texas State University in San Marcos, TX. 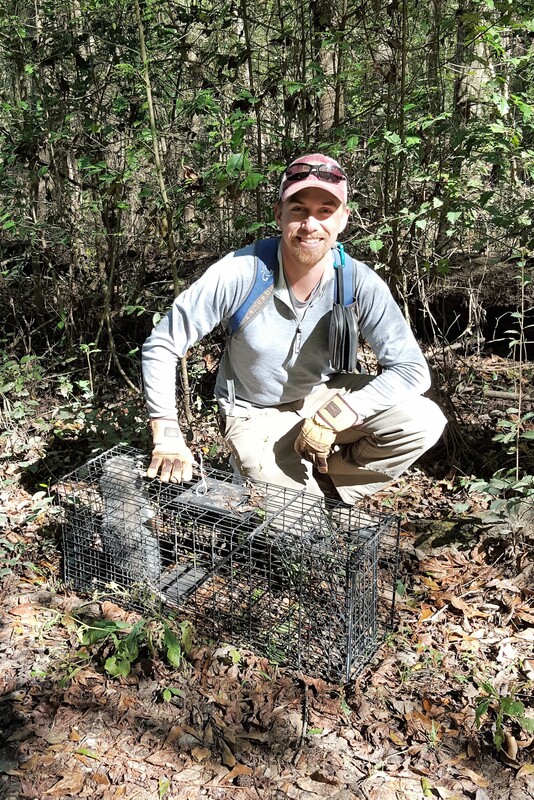 For his MSc, Brad conducted mammal surveys across East Texas to assess the prevalence in Lyme Disease in these mammal reservoirs. Currently, along with his many duties as lab technician for PEEL, Brad serves as the Nongame Mammalogist for the Indiana Department of Natural Resources. Fun fact: Somewhere out there, in the depths of the universe…Brad has a minor planet named after him!